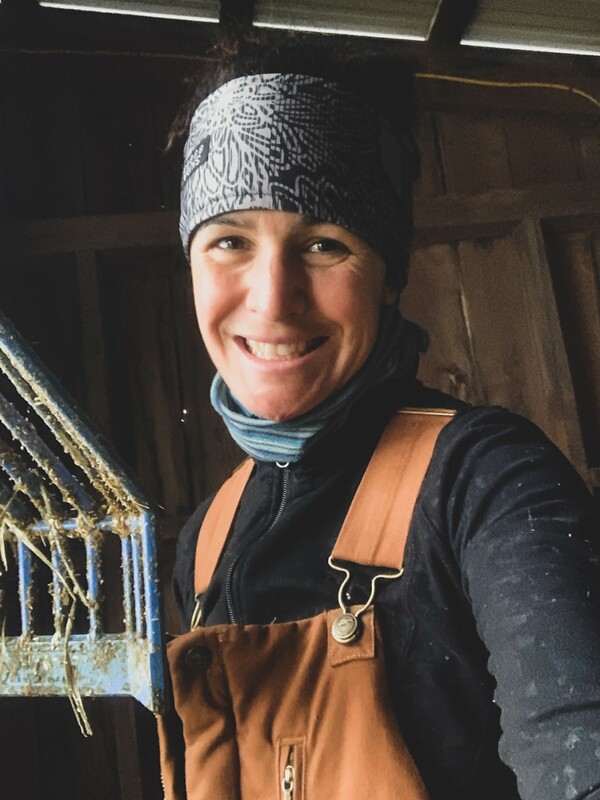 Becoming a Farm Girl, to Become an Author, to Become Myself: A series of essays reflecting on how I found the confidence to write my first book, one shovel of poo at a time. 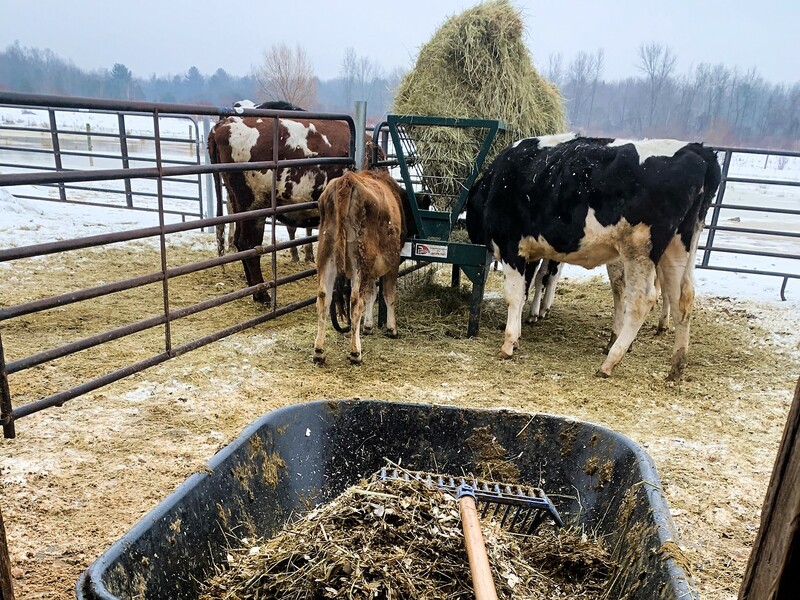 Shoveling cow poo twice a day is not something I love to do, but I DO value becoming a farm girl. Mind you, this was not, nor has it ever been, a goal of mine. The aspiration to write my first book and determination to succeed, that is what landed me on the farm. Gratitude for this opportunity is immense, however, it’s taken every month of being here to see how invaluable it’s been. For those first few weeks, my body ached. Fingers, toes, and weird little muscles I’d long forgotten about. Now, living out of a Jeep Wrangler for a year does equate to a number of physical pains, especially given the lack of headroom! This is different. The physical nature of farm work tugs and pulls at the body in a variety of ways. Some good, and some, not so wonderful. Topping off water-buckets for starters. It’s nearly impossible NOT to use your dominant hand/arm/shoulder. I tried, but after spilling water, in the winter, and creating treacherous icy spots throughout the barnyard, opted to stick with the strong arm. It was for everyone’s best interest! Especially the cows! There is nothing more heartbreaking than to see a pregnant cow take a fall due to ice. They are hardy creatures, but it simply appears awful to the human, especially when you feel it’s your fault because you couldn’t keep the water IN the bucket. Those first few weeks were humbling and defeating. Learning and feeling inadequate on most days. Having to ask too many questions and seeing the angst in the farmer, who appreciates the help, but would love if I could ask fewer questions. Finding my way those days sucked the physical and creative energy out of every area of my body. Most of those days, I’d come in from morning chores, shower and lay down. This typically resulted in a LONG nap. Dragging myself out of bed to eat, play with my dog and stare at the blank page open on the computer. I’d lose track of the day, when before I knew it, time for evening chores. I dreaded the hour before heading out the door. Everything hurt, from my feet to my hands, and even my head. Between drinking too much coffee, not enough water, and beating up on myself — this was not going well at all. I had moved onto the farm in late October of 2018 with the intent of staying there for 1–2 months. The goal was to complete the first draft of my book. If the farm work was not bringing me breaking down, my mental ability to achieve the goal was, and what happened next was a sucker punch to the confidence altogether. Before I share the most humbling moment of my life, some back story. For the past year, I had struggled immensely with finances, while doing everything I could to DO something I’ve dreamt of doing for years. 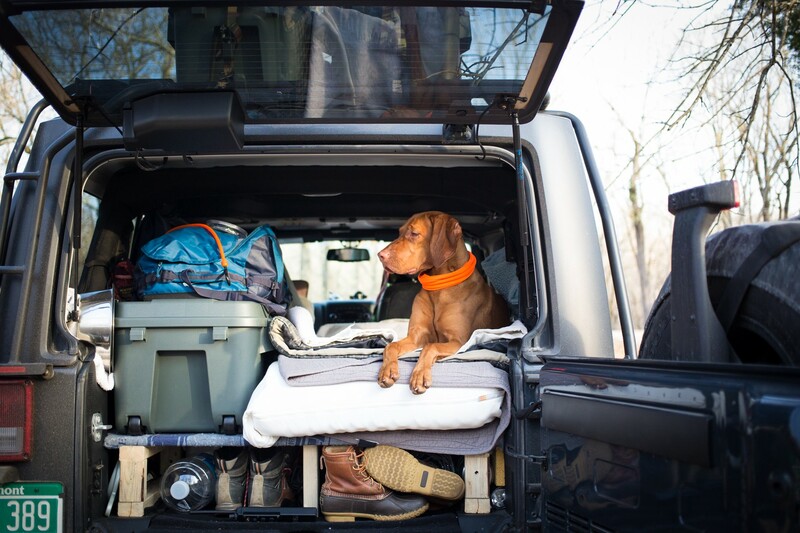 Which entailed stuffing my life into a storage unit, transforming my Jeep into a 4x4 mobile adventure home, only bringing what I absolutely required for the journey, which of course included my dog, Monty. I did NOT do this with the intention to write a book. My motivation was to become the photographer I wished to be. Frankly, the writing was not even on the radar, though I’ve been journaling daily for over twenty years and documenting the journey was second nature. For roughly twelve months I hustled as I’ve never hustled before, to secure project funding, freelance work, anything which would cover the most basic essentials to survive on the road. One of these essentials was the Jeep, which was now my full-time home. When I received the first call from the man who was intent on repossessing the Jeep, my world flipped upside down and experienced fear like nothing I’ve ever felt before. A woman I interviewed for my project, which was to meet with people impacted by cancer, shared how she felt prior to starting chemotherapy, describing it as “white fear.” Which I recall at the time as odd. When I think of fear, imagine something more dark and sinister! On the day I listen to the voicemail message from the repo guy, it was as though someone came through with an eraser and eradicated my life — in one phone call. The fear of losing my home, my Jeep was so immense I wanted to puke on the spot. That moment I understood what she meant by “white fear,” as those someone selected all of your writing and hit delete, leaving you with a blank white page — non-recoverable. For the bulk of the year, I would be wrestling with the fear of losing my home and the fear of not achieving something from this massive upheaval of my life. Would it all be worth it? 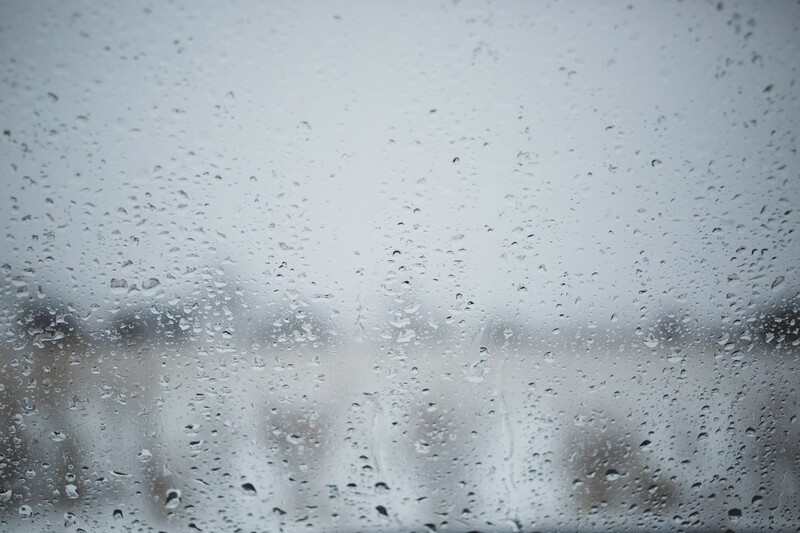 I can tell you today, yes, but on a snowy morning in November, when I woke up to my Jeep having been towed away in the darkness of night, the fear melted away and was replaced with shame. For me, fear inspires action. While not a place of positive energy, it does propel me to move in some way. Shame paralyzes me. I become stuck, as though trapped in one of those snow globes. Frozen in place. Time standing still. I’d remain in this mental state, believe it would qualify as depression, through the holidays and into the New Year, until I became sick with a respiratory infection. This resulted into a week off from farm chores, feverish chills and a trip to Urgent Care where I’d have to face the fact I’m old enough to warrant an EKG to rule out heart failure. Since chest pains were the root of my landing at urgent care, it makes sense to rule that out. Anxiously laying on the gurney trying to relax as they collected readings of my broken heart, learning later my physical heart was fine. When we wear ourselves down physically and mentally at the same time, becoming sick is not unexpected. What was unexpected was how it broke me free of a bubble I felt trapped in and I began writing. I wrote a quarter of my book in a week! Now before you join in my excitement, it was just a freak surge of creativity. The moment I returned to working on the farm, it all came to a halt. The fear I felt from laying there in the hospital while they ruled out all the scary things which may cause chest pain and shortness of breath was quickly replaced with the shame I was still feeling for losing the Jeep. Falling back into a routine of farm chores, mid-day naps and staring at blank pages, there would be an event, end of January that would nudge me into a new direction. A shift in the mindset, embracing the current story of my life, and taking accountability in how I landed here. Breaking free of the bubble of shame warranted a farm girl selfie! Photography + Words by Jennifer Langille (pictured left).